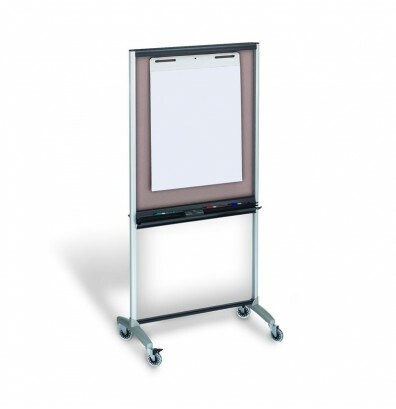 Quartet Total Erase 500TE 33" W x 39" H 3-in-1 melamine mobile presentation easel offers a dry erase writing surface, display area, and rolling room divider in one unit. Whiteboard side includes a lightly printed grid to enhance writing alignment and neatness. 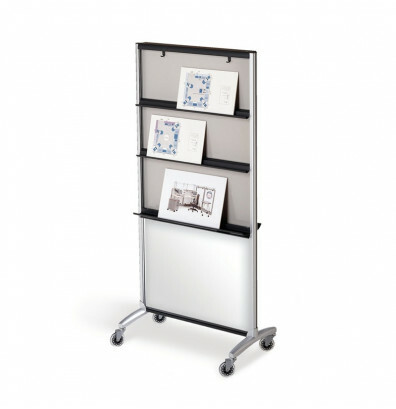 Display side has three re-positionable, collapsible shelves for various size displays and flip charts. Sturdy silver metal frame blends into office spaces. Designed for moderate use. 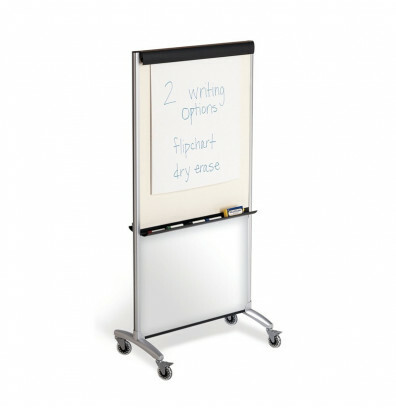 The Total Erase 3-in-1 melamine mobile presentation easel features a stain and ghost resistant melamine dry erase markerboard surface. Tackless paper holder on the whiteboard side helps hang document aids. On the reverse, a display side that can act as shelf space or a flip chart holder for additional presentation flexibility. Attached accessory marker tray included for additional storage space. Four smooth running swivel wheels with two that lock securely into place for easy, stable mobility. Optional accessories including easel pads, flip charts, foam erasers, board cleaner, and dry erase markers available. 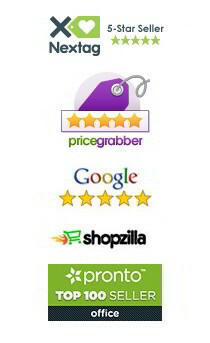 Please see "Recommended Accessories" on the right side-bar. Durable non-magnetic stain and ghost resistant melamine writing surface. Subtle grid on whiteboard surface assists writing neatly. Tackless paper holder hangs aids like documents. Flip chart holder supports use of flip chart pads. Display side features three re-positionable, collapsible shelves. Accessory marker tray provides storage space for whiteboard supplies. Four swivel wheel base (two locking) for smooth, controlled movement. Includes accessory marker tray and 1 black dry erase marker.